This is the first picture of the new Vauxhall Astra which will be make its official debut at the Frankfurt motor show. It’s the seventh generation of the Astra and it will be built at the Vauxhall plant in Ellesmere Port, Cheshire. As one of the UK’s bestselling and well-loved cars, the Vauxhall Astra is a household name. It helps that it has sold more than 2.9 million units in the UK since its launch 36 years ago. Last year Vauxhall shifted 50,000 units. The new Astra is 200 kg lighter than the model it replaces and there’s a completely new architecture for the vehicle. Engineers have checked every component for design and replaced with lightweight materials where possible. There are new engines for the Astra, including a new 1.4 Ecotec direct injection turbo unit with four cylinders which has excellent levels of performance. The new design makes the Vauxhall Astra look more agile and it has a futuristic styling. Vauxhall have also made the interior larger while the exterior has become smaller. 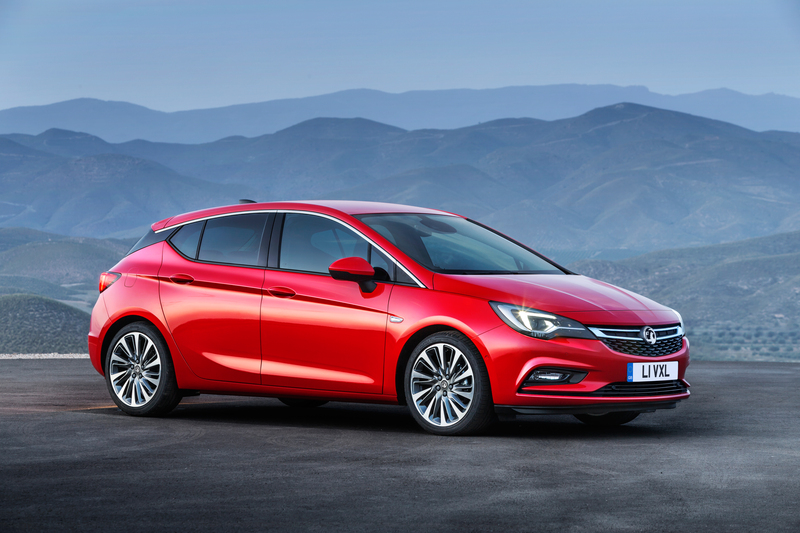 From launch, the new Vauxhall Astra will come with personal connectivity and the firm’s impressive OnStar service. The system effectively offers a range of comfort and safety services; for instance, if there is an airbag deployed, OnStar will be alerted and an adviser will then contact the vehicle immediately to determine whether there is any help required. If so, emergency responders will be alerted and sent the location of the car. There’s also extensive suite of apps for the infotainment system built around the Android platform so users get to access Google maps, voice recognition and Google Now. Users can also access Spotify, Google Play Music and Skype as well as a long list of other supported apps. Among the large amount of standard kit is a long list of safety equipment which includes lane keep assist, traffic sign assist, lane departure warning and cruise control, among many others. Some models also come with a rearview camera, advanced park assist and side blindspot alert. There’s also a new driver’s seat which has 18 adjustable movements including a massaging option, width setting and ventilation. The new 2015 Vauxhall Astra will go on sale in November and prices are expected to start at around £13,000. This entry was posted in Car Leasing, Cars, Family Car, New Cars and tagged lease a Vauxhall Astra, vauxhall astra by Steve Lumley. Bookmark the permalink.